Wow! Rarely, do I use the word spectacular to describe a film but if there is one must watch movie in this crop of Oscar nominees, then this is the one. I had no idea what to expect when I walked in, other than it being recommended by a number of people, online. Nobody I knew had seen it. The film is a stark, gritty and powerful portrayal of a slice of America that exists but is rarely ever seen by most of us who reside in the other, more sanitized America. 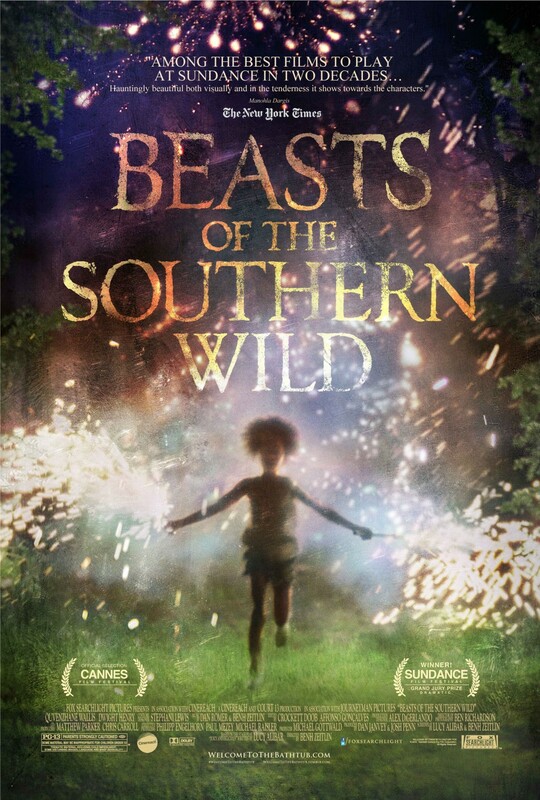 What I loved most about this film, other than Quvenzhané Wallis, the six year old lead, is how beautifully and simply it has been directed, by Benh Zeitlin (making his first feature length film). It is a completely fresh and un-jaded piece of filmmaking where the audience is left feeling like someone is simply rolling a camera as life transpires. It is as if there were no script, no actors and nobody we see has any idea that there is a camera around. It is this rawness that makes it such a powerful, hopeless, beautiful, sad, and magnificent piece of storytelling. The young six year old Hushpuppy, played by Quvenzhané Wallis, steals the movie with a performance that would put every Hollywood actress to shame. This girl was born to act and the camera, and audience, cannot help but fall hopelessly in love with her. You can walk out of this movie feeling depressed, or you can find hope by opening your eyes and heart to the simple joys through these characters lives and their outlook and perspectives. In how they choose to live their lives within the circumstances into which they were born, and have no complaints. The best thing about this film might just be its greatest Achilles heel when it comes to winning the Oscar – it is real – and not in the way Hollywood portrays reality, even when they claim to be doing just that. When Ben Affleck first directed Gone Baby Gone, I was both surprised and impressed, but everyone can have one hit. Talent takes more than that. Then came his second, The Town, which was also impressive and well directed, but it is really with Argo that he has come of age as and shown the type of mettle and magic that few directors have. The hardest thing for any director is to take a subject matter that is well documented, and whose outcome is well known, and make that exciting for an audience. It is always hard to turn such a subject matter into an interesting story, leave alone a compelling one. Most times such topics are better suited to documentaries or executed so poorly that they never rise to become great films. 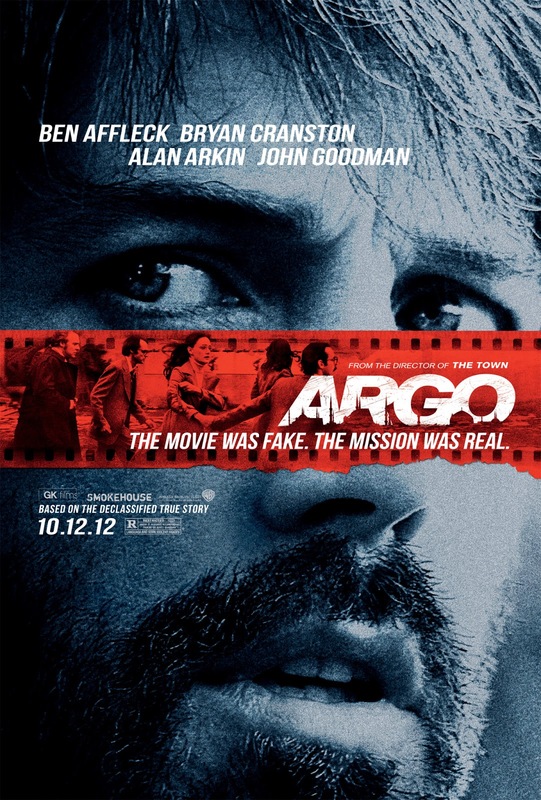 Argo is one of the exceptions. Ben Affleck not only manages to build three-dimensional characters, but also keeps the audience gripped and often on the edge of their seats, even when they all know how the story will end. The casting is also brilliant. None of the actors ever dominates or overwhelms the film, but each one adds a little unique fabric of memorability, the sum of whose parts deliver a wonderful cast of characters with whom the audience can both relate and build empathy. Funnily enough, Ben Affleck’s performance is also one I would rate as among his best. This movie is also a must watch and my second favourite for best picture. 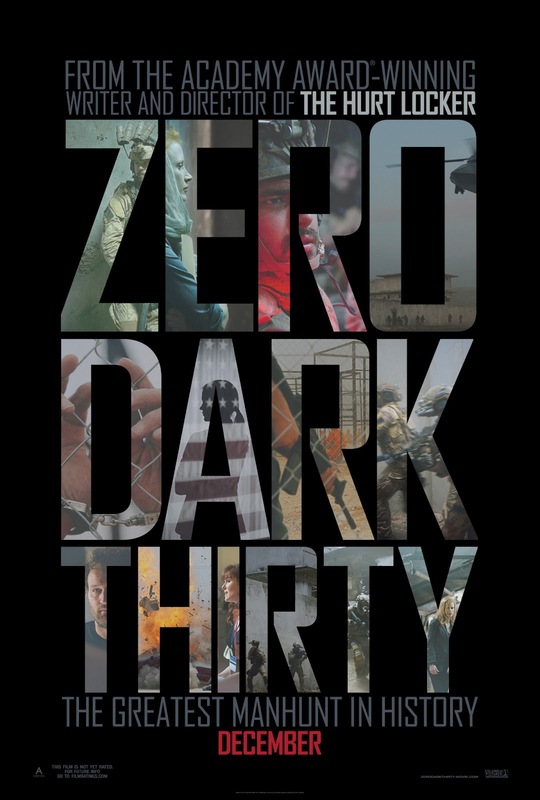 Shot almost like a covert documentary, Kathryn Bigelow delivers a gripping and thrilling piece of filmmaking, even though we are aware of the final outcome of this hunt. What she manages to do through her characters is to take us into deep into the heart of a thankless job that unfolds in the obsessive underbelly of a world that we all know exists but cannot begin to imagine. She shows us the nameless and faceless men and women all over the world who belong to this elite cadre of covert operatives, living on the fringes and operating in the shadows of society to hunt and kill people who are often nothing more than mere shadows. Ultimately, the film forces each one of us to very seriously think about the price we are all willing to pay for our safety. Because it is pretty clear that the further we progress down this path, chasing after these men and operating purely in the darkness, the harder it will be to come back. One day we may no longer be able to differentiate between these two worlds. A beautiful story told simply and with great élan. Ang Lee will one day be counted among the greats for his ability to deliver movies with subject matter as diverse as Woodstock to Pi. I have not read the book, but am told most people thought it would be impossible to turn into a film; I don’t think they will be disappointed. This is a glorious piece of filmmaking about life and the journey each one of us must undertake from the time we are born, and remain on until the day we die. 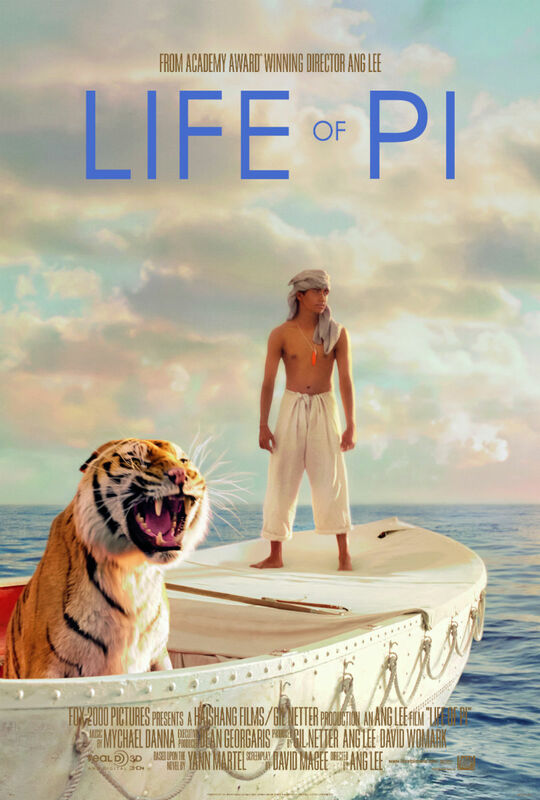 The message at the core of the film is not a new one, but one that is at the core of every religion, as Pi learns. I am not sure about what your take will be about the message, but mine was that we all have to ultimately choose through which lens we view our lives. The good, the bad and the hopeless events that unfold - we can choose to see only the worst or try to find hope and see light, especially when none exists. But the beauty of the film is that this is never thrown in your face. Ang Lee leaves it each of us to interpret. Delicious is a word I would use to describe this movie. Everything from the sublime soundtrack, to the idyllic settings and the perfectly understated performances leave you feeling joyful and elated. I do believe Suraj Sharma deserved to be nominated. I thought his performance as Pi was brilliant. I walked in without any expectations and walked out with quite a bit. 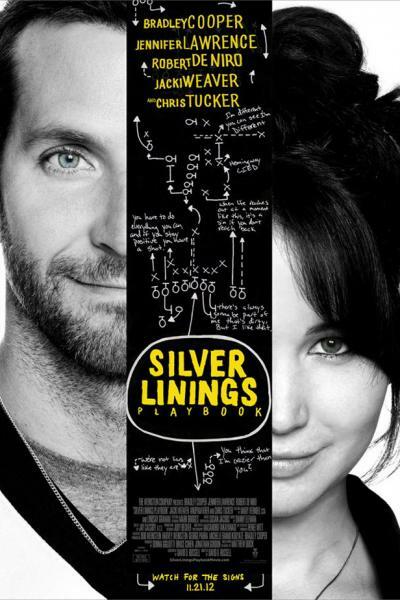 Silver Linings is a charming little film with an ensemble cast filled with really big name actors, playing small town characters. This seems to be a hallmark of director David O. Russell’s; the ability to get great performances from A-list actors that surprises an audience. He does it with Bradley Cooper and Jennifer Lawrence this time. I will admit that she steals the movie a little bit but Cooper most certainly holds his own and shows some acting chops he has not demonstrated in the recent past. Of course Robert DeNiro and Anupam Kher are brilliant as always. The movie actually deals with the type of serious and heavy subject that could have gone horribly wrong and turned into a dark, depressing and dreary slice of blue collar America. Instead Russell delivers a delightful and uplifting film, with raw, real and three dimensional characters that we can all relate to and empathize with. Some people describe this movie as a boring history lesson. Well, I love history and Daniel Day Lewis. 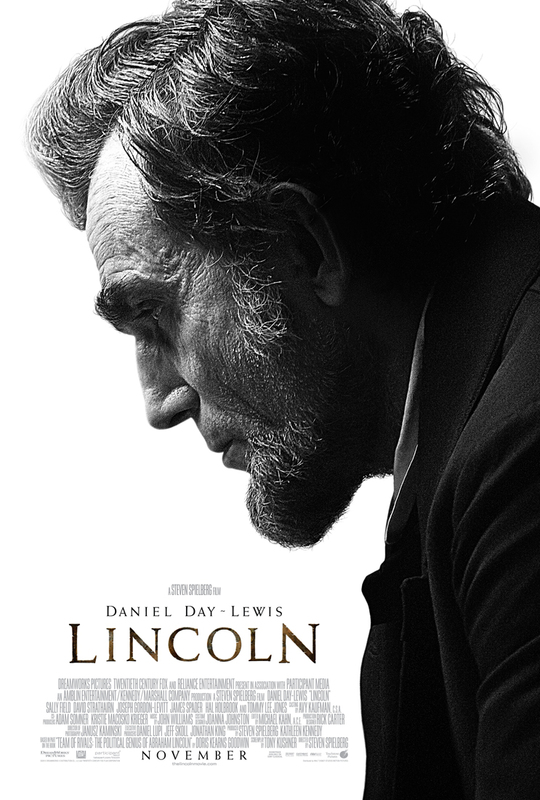 I read that Steven Spielberg spent twelve years researching Lincoln before making this movie. There is no doubt that it is a vehicle for Daniel Day Lewis to disappear, yet again, into another great onscreen character and completely mesmerize us with his performance (I do feel sorry for all the other Best Actor contenders this year). Another noteworthy performance is one turned in by Tommy Lee Jones playing the radical Republican Thaddeus Stevens. I felt that Sally Field’s character, not her performance, lacked dimension and was came across as flat and predictable. Perhaps, the film is in some parts a lesson better suited to PBS. But in the final count I think because it is a great and defining moment in America’s history, it is a story that must never be forgotten; and Spielberg tells it brilliantly. The one solid criticism I have is the ending. There is a moment in the movie when Lincoln leaves for the Ford’s theater which I felt was a strong and moving ending to the film. For some reason it did not end there and it was almost as if Spielberg bolted on a cheesy and contrived, second ending; one that I fear was demanded by studio research driven by the fact that many people today do not know how Lincoln died. Hugely disappointing. Perhaps it is because I am tired of Hollywood casting people who cannot sing in roles that require singers. 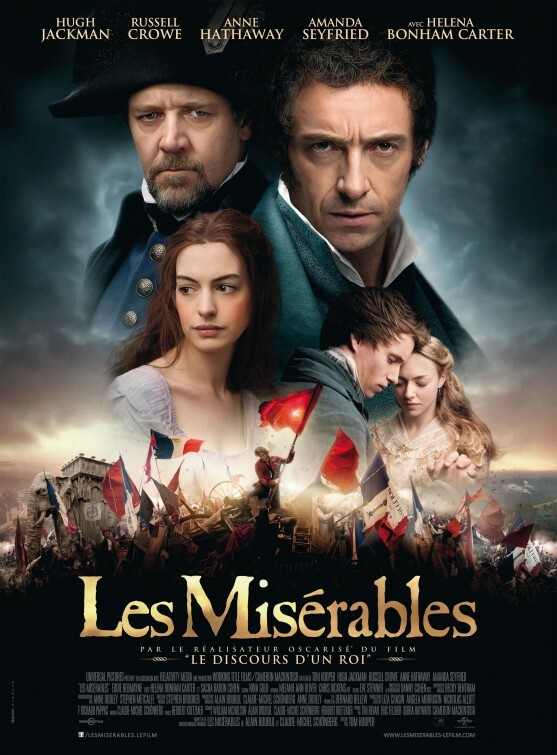 Or that after seeing the original musical, with the original cast including Colm Wilkinson, on stage in London’s West End, I felt the actors in the movie made a great effort, but in the end massacred a brilliant score. There were moments when I cringed seeing Hugh Jackman and his fellows cast members trying to hit high or low notes. It is amazing what technology can do, but even technology has only advanced so far. One last point on this. With movies like Moulin Rouge, Mama Mia and Rock of Ages, also performed by actors with little or no singing talent, I feel it is easier to get away with it because they are doing renditions of mere pop songs. Most of us have grown up hearing karaoke versions of these songs, so the bar is very low. In the case of the masterful original musical version of Victor Hugo’s masterpiece, well there is a totally different bar; one that could only be reached by performers who can sing brilliantly. One final note Anne Hathaway is a great actress but this role was not one I would have thought worthy of a nomination.